He's been shipwrecked on a desert island; he once climbed two of Southern California's tallest mountains in a day; and there was that time he got evacuated from Baghdad in an armored vehicle—and it got hit by an improvised explosive device. But aside from his sense of adventure, what really distinguishes Mark Sorensen, founder and CEO of the Geographic Planning Collaborative (GPC) Group, is his drive to extend and expand the use of GIS—especially in the developing world. "He works at the outer fringe of possibility," said Esri senior consultant Mike Larrance, who has done projects with Sorensen around the world. "He does these jobs that probably not a lot of people would do. The fact that he just pushes through, regardless of circumstance, is a testimony to his passion about GIS technology." Sorensen—who currently splits his time between Abu Dhabi in the United Arab Emirates and San Diego, California—is a land planner at heart and sees incredible value in using GIS for urban and regional development. "I was very interested in visualization—the ability to look at landscapes in a three-dimensional view and envision how you'll be able to intervene with those landscapes," he said, adding that what drew him to the technology was "being able to put information into a computer and then consider multiple variables and their interdependencies in the land-planning decision-making process." Examining manifold perspectives and figuring out how they affect and rely on one another is the methodology that has defined Sorensen's career from the beginning. As a young construction worker, he got ahold of Scottish landscape architect Ian McHarg's Design with Nature, a seminal book that champions understanding the existing natural landscape to better integrate man-made design. "That made complete sense—to know more about the environmental forces you are dealing with in a space and then think about the human systems you interject into those spaces," said Sorensen. This rational, systematic process inspired him to study landscape architecture. At age 21—after he had already been married for four years and had two kids—Sorensen enrolled in the landscape architecture program at California State Polytechnic University, Pomona. While working with plants there, he also developed an interest in computers. Thus, when he was encouraged to go to graduate school, he chose to attend Harvard University's Graduate School of Design to pursue a master's degree in landscape architecture and regional planning, since he would be working not only with landscape architects but also with people who were doing research with computers. One of the classes that really stuck with Sorensen was one Carl Steinitz taught on methods of landscape planning. Steinitz led students through a range of design perspectives, including Chinese Feng Shui and how Native Americans used to organize themselves into landscapes. Sorensen recalled how "mind-bending" it was to think about all the different cultural contexts and how, to really understand an environment, he would have to use all the methods and tools available to him and essentially do geodesign. The GPC team in Libya, pictured here, completed the main SDI project for the Libyan government, but political turmoil curtailed full implementation. After graduating from Harvard, Sorensen really began to hone his design and planning philosophies by applying them to practical experiences. 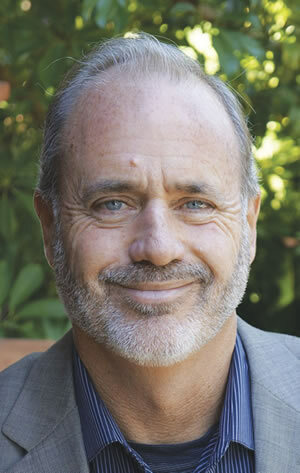 He worked at Esri for more than a decade, where he wore many hats, including special exhibit designer, GIS project manager, and head of the landscape planning group. His projects varied widely: One week he would be in Honolulu working on sewer systems; the next month he would be doing a project in Kenya on elephant poaching. He did extensive community planning throughout Japan and helped devise GIS support for municipal projects in Baghdad. His primary goal was—and still is—to gain as much perspective about a place and a situation as he could to provide the best solutions possible. He would talk to community members, local city officials, different sectors, and an array of other stakeholders to find out what everyone needed. Then he would analyze the data over and over to come up with a plan—often taking the time to figure out both how the stakeholders wanted it done and how he and his team would prefer to carry out the project. "He's constantly exploring and innovating and thinking," said Dan Bucko, an urban planner and landscape architect at Hart Howerton, who has worked with Sorensen on a number of projects throughout the years. Eventually, Sorensen developed a niche expertise in the emerging field of spatial data infrastructure (SDI) development. "When you go through a couple hundred projects like that, you get exposed to how these different sectors think about these issues," he said. "You really become a translator in what otherwise was a Tower of Babel." With this knowledge, Sorensen founded GPC Group (an Esri Silver Tier partner), where he consolidated his learning and experience into an overarching SDI philosophy. He came to understand how interdependent many sectors were yet how they often work with blinders on. He also figured out how to build structural integrity at a governance level. Early on, GPC Group worked with the government of Lebanon to conduct one of the first SDI studies. The company also received a contract to help the Libyan government develop an SDI, which was a pivotal project. In addition to focusing on the data, Sorensen realized that, by really digging deeply into sectoral issues, he and his colleagues could pinpoint fundamental problems that affected governments at the experiential level. This helped GPC Group expand and refine its basic methodology and begin looking at the ecology of the whole governance framework. "It's not just about streamlining operations," said Sorensen. "It's also about looking at what, why, and how we do things in fundamentally new ways." That is how Sorensen approached more recent projects with the government in Abu Dhabi. 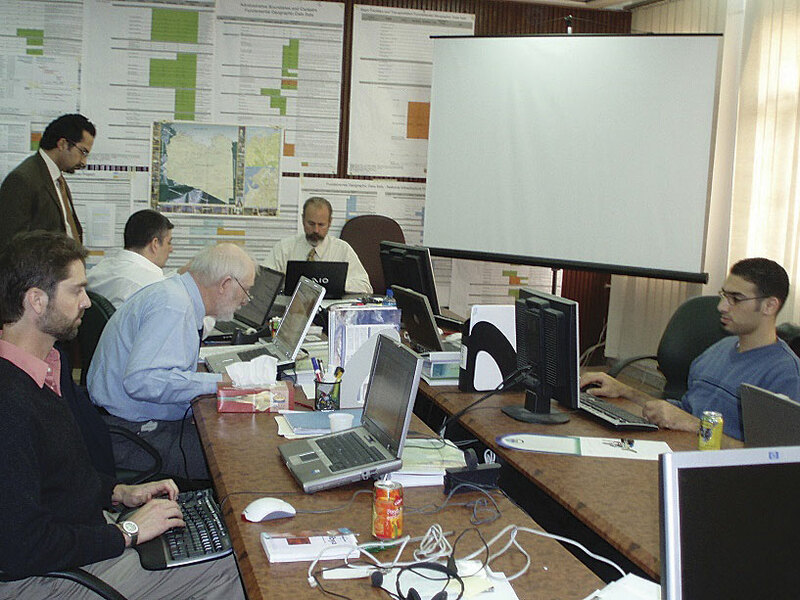 First tasked with evaluating the Abu Dhabi Global Environmental Data Initiative (which was part of the United Arab Emirates' commitment to closing the environmental data gap between developed and developing countries), Sorensen and his team were then asked to take a look at plans to develop a GIS that would connect government departments across the country. The consultancy's recommendation that the government integrate its GIS program with what was then a nascent e-government program prompted Abu Dhabi to hire GPC Group for both projects. Today, more than 80 organizations in Abu Dhabi share close to 800 layers of information—a feat that won Abu Dhabi the inaugural Smart Government Award at the 2015 Esri User Conference. Sorensen's work doesn't stop there, though. His company now focuses heavily on GeoSmart Solutions That Matter, an initiative that strives to use location information to solve interesting problems that will have transformative impacts. With this, Sorensen wants the developed and developing worlds to better coordinate how they implement projects. "We realized that a lot of the SDI work we're doing in developing countries is largely a top-down perspective," said Sorensen. Rather than perpetuate that structure, he wants to implement these projects in a more integrated way. "The classical approach to SDI that's been applied in the developed world really has to be repositioned and retooled to address issues in the developing world," he said. That is why, for projects in developing countries, Sorensen has recoined SDI to stand for spatial development infrastructure, which he believes fosters a more ground-up approach to spatial data development. For someone who said decades ago—before he got into Harvard—that he wanted to bring the principles of environmental design to the developing world, he sure has succeeded, though not without support. "After being married for 43 years, I have to give some credit to my wife for having put up with all this vagabondism for all these years." Sorensen and his wife, Kathy—a professor of anthropology at Ashford University—have three children and four grandchildren, all of whom live in California.